On the Eastern Front in November 1944, Luftwaffe fighters from JG-52 have been called in. 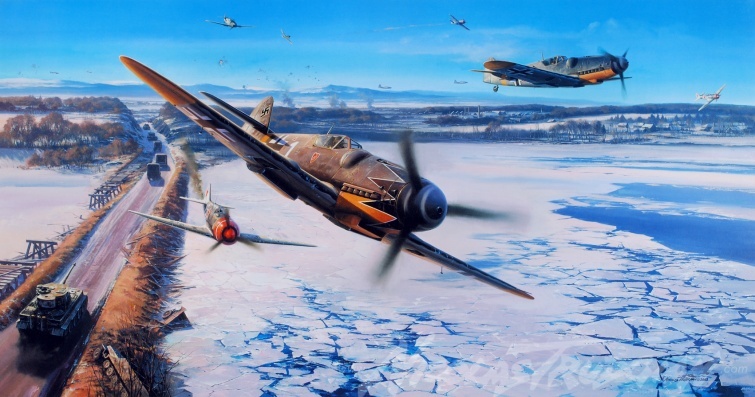 The Me109's of Erich Hartman and Gerhard Barkhorn are seen engaging the attacking aircraft. Size when stretched: 38" x 20".